By Melissa 2 Comments - The content of this website often contains affiliate links and I may be compensated if you buy through those links (at no cost to you!). Learn more about how we make money. Last edited February 10, 2014 . If you're buried in snow, it may be hard to believe that spring is right around the corner, but it is. As it turns out, now is also the perfect time to consider enrolling in a CSA, especially if you want to eat locally and support the local economy. Since the majority of CSAs also offer organic produce, buying shares in one is a great way to save money and eat healthier. How Do I Choose A CSA? 1. What size share do you want? 2. How much variety is there in a weekly box? 3. How clean is the produce when it is delivered? 4. Are there other members you can talk to? 1. Eat organic produce in season. 1. No choice of items in your share. 2. Assume risk with the farmer. 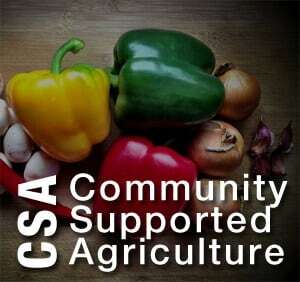 CSA stands for community supported agriculture. While CSAs have their roots in Japan and began nearly 30 years ago, they didn't occur in the United States until 1986. Now, there are over 4,000 available CSAs throughout the United States (Local Harvest). To become part of a CSA, you pay the farmer upfront, sometime between March and June when you enroll. Depending on the size of the CSA share that you order, you will pay as little as $400 or as much as $900. You pay that entire amount upfront, in the spring. This allows the farmer to order seeds and make necessary repairs to his equipment before the busy growing season begins. In return, you will get fresh, local, organic, in season vegetables straight from the farm for 18 to 22 weeks, from mid June to late October. The best place to find a CSA is to visit localharvest.org. There you will find over 4,000 CSA farms across the country. If you live in an area where there aren't many CSAs, you would be advised to join early. Some CSAs sell out long before the first crop arrives. Farms offer shares (your portion of weekly produce) that are small enough to feed two for the week to those that are large enough to feed a family of 4 plus have leftover to share or freeze or can for use in the winter. If this is your first season using a CSA, I'd recommend underestimating your needs a bit so you're not overwhelmed with food. Does the farmer include a good variety of vegetables each week? Since you'll be eating in season based on what is available, you'll want to know what vegetables to expect. We had two CSAs last year. The first one relied heavily on crops like beets and eggplants, which we didn't much care for. The other farm offered a much wider variety of produce. Does the farm leave the dirt on to preserve freshness, or does the farm clean the produce for you? Again, the first farm we subscribed to routinely sent us dirty, muddy vegetables which made a mess of my kitchen when I tried to process them. For this reason, we won't subscribe to this farm's CSA this year. Don't be afraid to ask for references. Talk to other customers and understand their experience. Remember, you'll have a relationship with this farmer for 20 weeks or more, so it is important to like their services rather than being annoyed every week (as we were with our first CSA farm). Besides supporting the local economy and a small farmer, there are several other benefits to subscribing to a CSA. There is nothing better for your health than eating organic produce that is in season. Plus, most of the vegetables are picked the day of their delivery so they retain nutrients much better than produce that you can find at the grocery store. Even though you have to pay upfront, CSAs are cheaper than buying produce at the store. Most range from $20 to $45 a week, depending on the size of the share that you get. This year we plan to buy the biggest size CSA share from one of the farms we subscribed to last year. I know we won't be able to eat everything weekly, so I plan to freeze much of it for use in the winter when fresh produce is expensive and hard to come by. CSAs also sometimes offer additional, add on items such as farm fresh eggs, meat, honey, jams, and even fruit. Ask the farmer if they offer these additional items when you're determining which farm to choose. While the benefits of a CSA greatly outnumber the drawbacks, there are a few that you need to be aware of. 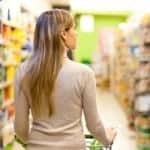 While some CSAs allow you to pick which items you get for the week, most do not. You'll likely have no say in what items come to you weekly. At first, this can be frustrating. I started waiting to create my menu plan and grocery list until after we got our weekly CSA delivery so I could make dishes centered around what we received. You assume risk with the farmer. If a freak hail storm ruins the crops, for instance, you may get no more deliveries for the remainder of the season. These occurrences are rare, but you do need to be aware of them. Our area suffered a severe drought last year, but luckily, both of our farms could still meet their CSA obligations. However, there were some in our area that had to reduce service and even stop delivering because their farms were hit hard by the drought. A CSA is a great way to support the local economy and eat healthier. If you're considering joining one this year, now is the time to start looking and interviewing the farmer before the CSA sells out. I had never heard of a CSA before your post. Great article. I frequent farmers markets often to save money and buy local but CSAs sound like a good option as well. No choice could be a negative but I would consider it a challenge to come up with more creative menu ideas. Funny story, I was in the shower the other day and had this exact same idea. I thought to myself “if I could pool a bunch of people together and pay a farmer to grow crops, it would be a successful business venture.” Now that I know it’s already been done and for decades I don’t feel too foolish. It was a good idea just a couple decades late ;-) Thanks for sharing!